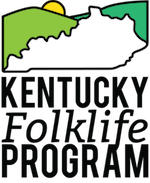 The Kentucky Folklife Program is excited to welcome 2001 NEA National Heritage Fellow Eddie Pennington and his son, Alonzo Pennington, to the cabin on Sunday, March 1, at 4 p.m. for this semester’s Pioneer Cabin Concert. Recognized among his peers as one of the best living thumb-style guitarists, Eddie plays in the style of Western Kentucky’s own Merle Travis. No tickets are needed for this performance, although seating is extremely limited. Please email us at cabinconcerts@wku.edu to reserve a spot by February 27. There is a $10 entrance fee charged at the door to cover costs. Children 13 and younger do not need to pay, but please include them in your reservations.